Is It March 1st...Already... Woo Hoo... Bring on spring and summer... We want to let everyone know we are still accepting applications for lifeguards and cafe employees. 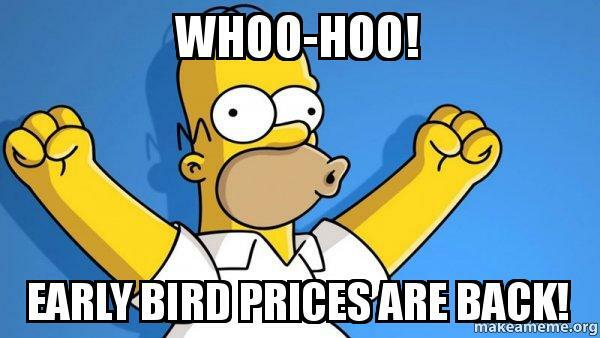 Also, we want to remind everyone of the discounted (Early Bird Pricing) membership dues if you pay by April 26, 2019. FAMILY/SENIOR MEMBERSHIPS WILL BE DISCOUNTED $50.00 AND SINGLE MEMBERSHIPS $25.00 IF YOU CHOOSE TO PAY BY APRIL 26, 2019. PRICES ARE AS FOLLOWS FOR THE DISCOUNTED RATES: FAMILY MEMBERSHIP WILL BE $650.00, SENIOR MEMBERSHIP WILL BE $550.00, AND SINGLE ADULT/STUDENT MEMBERSHIP $325.00. If you choose the convenience of paying online, there will be a 3.5% processing fee in addition to your membership price. If you choose to pay by check please mail your check to: Cages Bend Swim and Tennis P.O. Box 1264, Gallatin, TN, 37066. Thanks and we cannot wait to see everyone soon. Guess what time it is??????? We have so much FUN planned (HOLY COWS - MOOOOOO!!!) and we hope you will join us and bring your friends from around the world! There will be a GINORMOUSLY, HUGELY, AND MASSIVELY inflatable water slide and we will have the INCREDIBLY AWESOME 250' SLIP AND SLIDE along with a new addition this year......are you ready......a DUNK TANK (Hmmmmm.....who will be in the tank...you?) The water slide and slip and slide will be available from 10 am - 7 pm. Games will start between 1:08 or 1:26, or sometime around there. We will have more of our famous relays (oh, yeah...who won last year.....the adults!!!! Kiddos, bring your best game and adults bring your racing suits). We have come up with a few other competitions that may or may not involve the diving board and a few other items. And of course we will have prizes and an AWESOME DAY MENU! The Cafe will be offering home smoked BBQ sandwiches ($6.00) and/or 6 smoked wings ($5.00) until they run out, along with their usual menu! We are super pumped and can't wait to continue the FANTASTICALLY, LUSCIOUS AWESOME DAY TRADITION with you all! Come to chill, laugh, and play! Guests are welcome, but please remember they are $7.00 each, rather adult, child, swimming, or not. All members and guests check in at the guard shack as usual. Just a reminder for y'all that have not linked to the pool calendar (so everyone knows anytime there are swim meets or special events - click Google's icon at the bottom right of the calendar), please do so. Friday's meet will start at 9:45 am and will go until around 3:30 pm. You are more than welcome to call the pool and check on it's progress at that time. The direct line to the pool is 615-451-1314. The pool will be open Friday until 7 pm once the meet is over. If your children have been trying to decide if they would like to swim on the swim team, Friday, June 1 would be a great day to be a spectator and cheer for The Breakers! ALSO please note that there are 2 home swim meets on Tuesday, June 12 and Tuesday, June 26th. Those should also be over by 3:30 pm, but as always, feel free to call the pool and check on it's progress. Thank you for your support! For any swim team questions, contact them directly by clicking here. Happy Memorial Day Weekend!! The time is FINALLY here and we are sooooooo excited to see you all! Our opening day is tomorrow, May 26 from 10 am - 7 pm! Our Guards and Cafe Crew have been training and are ready to go!! We have an incredible group this year and can't wait to see them in action! If you have signed up and payed, pick up your membership cards at the front table. Otherwise you can sign up an pay there. We will have you enjoying the pool as soon as possible. Come on out, bring you and your family or just yourself 'cause the pool feels great! Grills are available! See y'all there and let's make this another AWESOME summer!!! Laser inscribe your calendar for July 28, 2018 for TOTALLY TUBULAR-TASTIC AWESOME, AWESOME DAY!!! Hope you will be AWESOME and join us there!!! 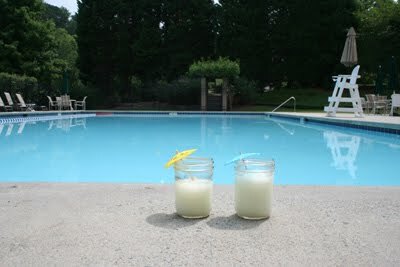 We are getting excited about the upcoming pool season as well as the warmer weather coming our way this week!!! The countdown is on y'all....ONLY 48 DAYS TILL OPENING DAY OF MAY 26, 2018!!! Can I get a Hallelujah!!! Hallelujah!! 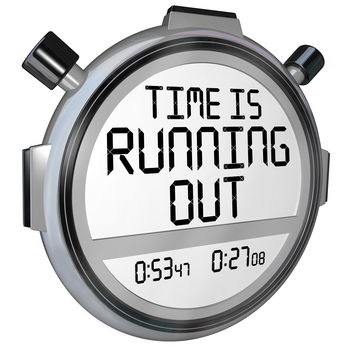 April 27, 2108 is the last day to get dues in for the discounted price of $550.00 per family membership and $325.00 per single/student membership. On April 28, 2018 the family membership will be at its full price of $600.00 per membership and the single/student membership will be at its full price of $350.00. Get those checks mailed in (Cages Bend Swim and Tennis LLC, P.O. Box 1264 Gallatin, TN 37066) or pay online here. All mail will need to be postmarked on or before April 27 to receive the discount. And you must sign up online so we have your payment associated with your membership! April 28, 2018 the Breaker's Swim Team will have their Meet and Greet and Swim Team sign up in the parking lot at the Pool. THIS IS NOT A SWIM AND TENNIS MEMBERSHIP SIGN UP, ONLY SWIM TEAM SIGN UP. You can read more about this event on their page here. All those that are interested in being a part of the Breakers please come on out and meet the AWESOME COACHES they have lined up for your season! GO BREAKERS!!! AND LAST BUT CERTAINLY NOT LEAST......MARK THOSE CALENDARS FOR TOTALLY TUBULAR-TASTIC AWESOME, AWESOME DAY SET FOR JULY 28TH. GET READY FOR EVEN MORE AWESOMENESS AS WE GROW THIS FUN TRADITION!!! TATTOO THAT DATE! 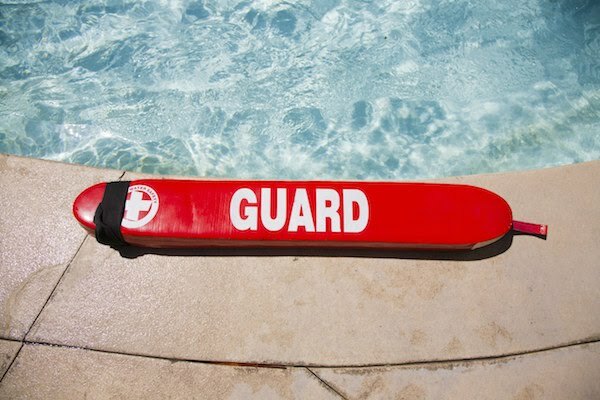 We will be accepting Certified Lifeguard and Cafe Attendant applications tomorrow, February 1, 2018. All those interested (and please spread the word) please click here and fill out your application online. If you have any questions about employment, please email us at jobs@cagesbendswimandtennis.com We absolutely love our Lifeguard Crew and Cafe Attendants! 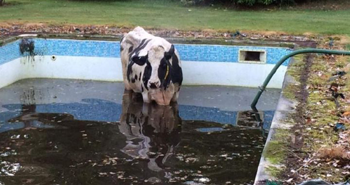 ONLY 115 DAYS TIL OPENING DAY (MAY 26TH) AND ENJOYING YOUR SPOT AT THE POOL!!!!!! DON'T FORGET TO SIGN UP FOR YOUR MEMBERSHIP AND GET THAT PAYMENT IN BEFORE APRIL 27, 2018 TO TAKE ADVANTAGE OF THE DISCOUNTED PRICE. Have a wonderful rest of your week and we look forward to seeing you all soon! We wanted to let you all know that the membership fees will remain the same as last year and the year before!!! We are offering the discounted price for a Family membership and Single Adult/Student membership through April 27, 2018. On April 28, 2018 the fees will go up as they did last year, $50.00 more for a Family membership and $25.00 more towards the Single Adult/Student Membership. We will not be having our Open House in April this year as we feel you guys already know the facility and we know everyone would rather have that applied to an even AWESOMER, AWESOMENESS DAY OF 2018!!!! With that being said, sign up online and follow the instructions for payment. However if you have any friends, family members, or if you are looking to become a first year member, we will gladly meet you and show you our beautiful facility. If that is you, please email us at fun@cagesbendswimandtennis.com and we will get that set up for you. Another note to all that are looking for employment for this coming summer. We will be accepting applications for Certified Lifeguards and for our Cafe Staff starting February 1, 2018. You will find the application here. We love our crews and could not have the summer without them!!! And don't forget the Tennis Courts open March 1, 2018!!! Make those reservations here. We are looking forward to seeing you all and can't wait to get the season started!! 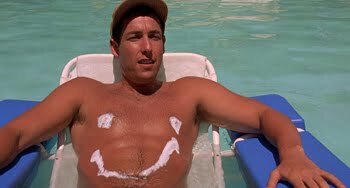 HELLO PEOPLE LOVING ALL THINGS AWESOME - DON'T FORGET SUNSCREEN!! This Saturday, July 29 is finally here and it is THE MOST TOTALLY AWESOME DAY IN THE ENTIRE CIVILIZED WORLD!!! We have so much fun planned and we hope you will join us and bring your friends from all over the world! There will be a GINORMOUSLY, HUGELY, and MASSIVELY inflatable water slide and we will have a new addition this year.....are you ready......a 250' SLIP AND SLIDE (swim suits required, sorry)!!!! The water slide and the slip and slide will be available from 10 am - 7 pm. Games will start between 1:03 and 1:37, or sometime around there. We will have Corn Hole tournaments (can anyone beat the Hayes this year??? ), we will have the Hula Hoop Competition, Frisbee Throw, Tiki Ring Toss, Bingo (yes, you can even be lazy in a chair and play), and Relays!!!! And of course there will be prizes and an Awesome Day Menu! The Cafe will be offering home smoked BBQ sandwiches (till 2 pm, all other Cafe items will be available till close 7 pm) with your choice of pasta salad or slaw for sides and a drink combo for $8.00 (cash or check) and if you only want the BBQ sandwich it will be available for $5.50. We will also have nachos and cheese for $3.00 or add chili and make it chili cheese nachos for $3.50. Nachos aren't your SO AWESOMELY CHEESYLICIOUS TASTETASTIC thing? ?...how about a chili dog for $3.50 and of course our regular Cafe items (did anyone say PIZZA)! We are super pumped and can't wait to continue and grow the FANTASTICALLY, LUSCIOUS AWESOME DAY TRADITION! Come to chill, laugh, and play! 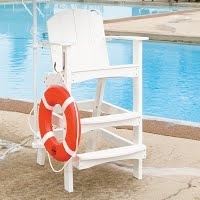 Guests are welcome, but please remember they are $7.00 each, rather adult, child, swimming or not. All members and guests check in at the guard shack as usual.